The digital world has made it possible for businesses to make even more money than they would if they relied on just their brick- and-mortar stores. Allowing customers to make purchases on companies’ websites gives them greater access to products and services, as well as convenience in finding the time to buy what they want. However, new and experienced companies and entrepreneurs can learn other ways to take advantage of all the benefits that e-commerce businesses have to offer. They allow companies to make improvements to their advertisements and find the right customers for their services. Here are three tips that’ll make your e-commerce business successful. Partner with the right players. As much as you know about the products you sell, dozens of competitors know that much more, which allows them to make the amount of money that you’ve probably set in your monthly or yearly goals. Learning from the best in your field never hurts because as much as we try to accomplish things on our own, experts can always provide just the right addition to our strategies to help us meet objectives. When it comes to running an e-commerce business, you should find players in your game who have been at it for a few years and have made a name for themselves and try to form a partnership with them. For example, if you’re selling Premier Glow products, then you’ll want to contact professionals who have been helping people throw parties at work or home, as well as those who need glow sticks, necklaces and other light-up items for a fun night out with friends. You can find these people on social networks such as LinkedIn, AngelList and BranchOut, as well as any upcoming conferences in your area involving people in your field. It’s important to present your goals and progress so that you know if they match up with your potential partnerships. Chances are that if you’re new to the e-commerce world, you will most likely not get things right the first time when you’re setting up your website and promoting what you have to offer. However, it helps to try every avenue possible to grab people’s attention and bring them to your site. This may take time, but it will be time well-invested. Keeping track of which products are doing well over the course of a month or so will help you figure out which ones to feature more on certain pages, as well as which items need to be promoted differently. The language that you use in your product descriptions can also use some changes, if necessary. The type of devices that people use to make their purchases has grown with the evolution of technology. It will help your business to design your website to make purchases possible on laptops, smartphones, tablets and similar gadgets. Search engine optimization (SEO) is another tool that you’ll need to bring people to your site. Trying out different keywords through SEO will help figure out which ones will catch people’s attention. This will also make your offerings and site more unique, which will help you stand out from the competition. Figuring out what your customers want is made easier when you have more avenues of communicating with them. If you’re just starting an e-commerce business for your company, then you’ll want to take advantage of several ways that customers can contact you regarding any positives and negatives that they may have about your products. One way is to provide a page on your site that lists the contact information of all of your staff members and which areas they specialize in. This helps viewers find out quickly which people to contact and what questions to ask so that they can get their answer quickly. Email lists and newsletters come in handy with helping customers stay up-to-date with any changes that you are making, and you can make them monthly or weekly, depending on how often things change. This can include offerings coming and going, changes in prices, moves for physical stores, and bundles changing in size. You can also add forum pages for customers to share their opinions on certain products services, because they may have suggestions that you may not have thought of before and could change your business for the better. Customers will also appreciate being given a voice. 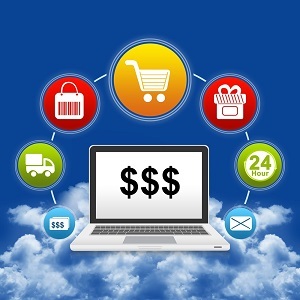 Keep these tips in mind so that your e-commerce business becomes a reliable source of income.